Hearing tiny feet scurrying all over your house is not exactly a pleasant thing. It is not a desirable thing either. It indicates that you have rodents in the house. If that is the case, do not panic. Call in professionals who provide rodent control Perth services. That is often the best line of defense against those pesky pests. You can get rid of the rodents with the help of traps too. Traps are good. They are effective. But they can’t give you long-term results, something which professionals can give you. Traps you can set all by yourself. But if there are children or pets or both in your home, you have to be careful. Make sure they do not go near the trap. Or else, they can be infected by germs and viruses. We use organic methods such as attracting the rodents using food they love. Even after we are done with all the rodent control in Perth techniques, we make you aware of other things that can be done to prevent their further infestation. We provide you tips to keep your kids and pets safe from them as well. Professionals like the Chambers Pest Solutions team will safely remove all the rodents from your home, making sure your pets and kids are risk-free. We can begin by setting several traps that the rodents won’t have a clue of. As soon as they are drawn to the traps, we add bait and proceed further. 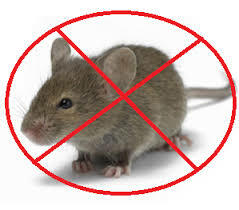 However, before we begin our process of rodent control in Perth techniques, we conduct your entire premises thoroughly to understand how severe the rodent infestation is and the exact areas where they are lurking. Openings, crevices, and the foundation of your building are the places where they are most likely to be hiding. We get to the root of the problem by attacking those areas first.